Northwestern College wanted to find a way to stand out during its college fair and open house appearances geared towards perspective college students. 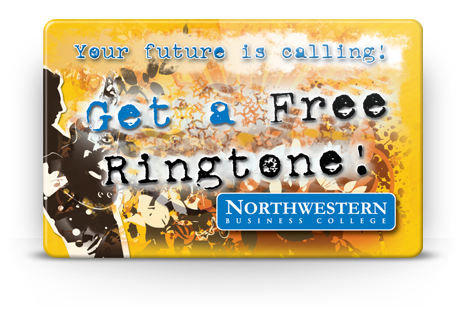 Knowing music’s popularity among young adults, Northwestern decided to offer every visitor to their booth a Digital Reward Card redeemable for 1 FREE Ringtone. When students accessed the site printed on the back of the card to redeem their Ringtone, they were asked to provide some information related to their future education and career interests. Northwestern was able to gain future contacts while also promoting the educational opportunities their school provided.